Rooms here will provide you with a balcony. Some have a private bathroom. Extras include a desk, bed linen and a fan. 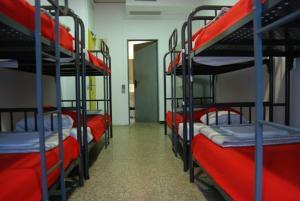 At Ideal Youth Hostel you will find a 24-hour front desk. Other facilities offered include a shared lounge, a games room and a tour desk. Computers are available for use free of charge. 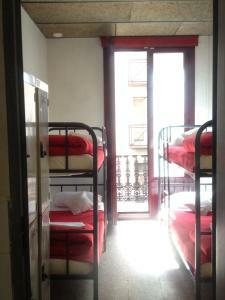 The hostel is 800 metres from Plaça Catalunya, and Liceu Metro Station is a 2-minute walk away. You can walk to Barceloneta Beach in 25 minutes. 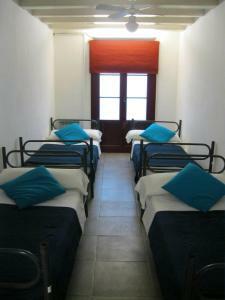 Towels are not included but can be rented on site for a supplement of € 2, and a refundable € 3 deposit. Alternatively guests can bring their own. When booking more than 10 beds, different policies and additional supplements may apply. Guests are required to show a photo identification and credit card upon check-in. Please note that all Special Requests are subject to availability and additional charges may apply. A damage deposit of € 10 is required on arrival. You should be reimbursed on check-out. 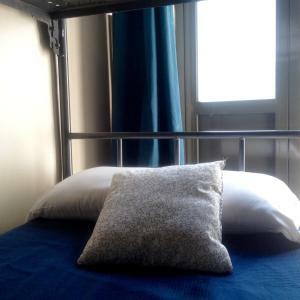 This bed in dormitory features a balcony, view and seating area. This bed in dormitory features a balcony, seating area and view. 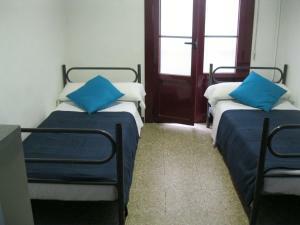 Rate: € 10.80 ... € 96.00; select dates below to get current rates. 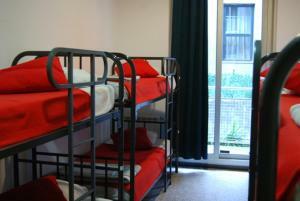 This bed in dormitory features a balcony, view and seating area. 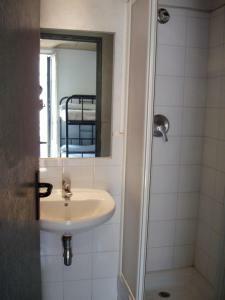 The bathroom is located either inside or outside the room and is shared with the occupants of this room only. 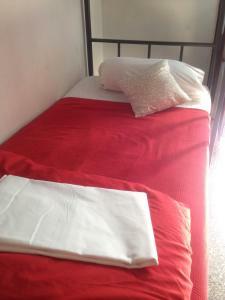 This bed in a 4-bed mixed dormitory room has a private bathroom. 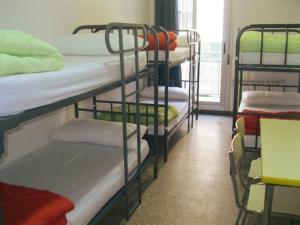 This bed in a 6-bed mixed dormitory room has a private bathroom. 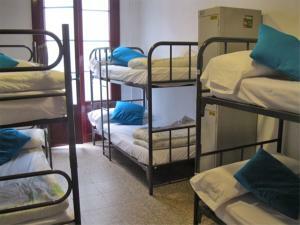 This bed in a 8-bed mixed dormitory room has access to a shared bathroom. 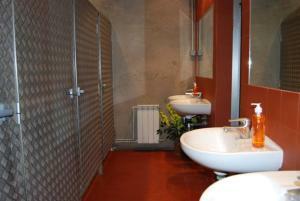 This private room for 4 people comes with a private bathroom. This room for 4 people has access to a shared bathroom. This room comes with 2 single beds and a shared bathroom.